Experts in pediatric, prenatal & family care. As McHenry County’s leading pediatric and family health experts, we welcome you and your family to enjoy a beautiful, first-class healing experience. Whether you’re looking to heal or feel even better, the team at PWC Chiropractic provides outstanding care so you can achieve your health goals. “It’s not just our education, but really our experience that allows us to help with such challenging pediatrics cases as ADD/ADHD, autism, sensory processing disorder, as well as more common conditions such as colic, ear infections, allergies, and asthma.” explains Crystal Lake chiropractor, Dr. Anthony Ebel. 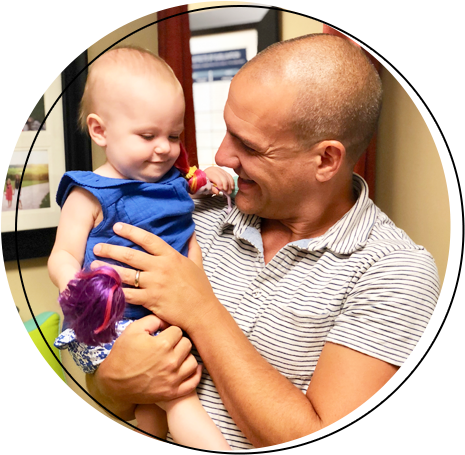 With his first of four children born just weeks before opening PWC, Dr. Tony immediately shifted gears from the typical chiropractic path, and poured all his energy into becoming the leading expert in pediatric and family care. His level of education and experience in pediatrics, and specifically neurosensory and spectrum disorders, is truly unmatched. We know from experience that health and wellness are about more than just "feeling good". A body functioning at it's fullest potential helps us heal, live fully, and reach our optimal health everyday. Maybe you or your family have lost your health and need it repaired or you simply know in your gut you need to do something more to maintain the best lifestyle possible in the busy world around us. We are here for you! Our doctor team and family support care team have the highest level of experience and expertise for your family. 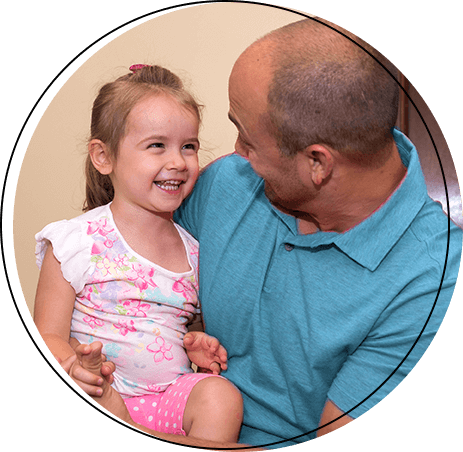 From clinical experience to our own family journeys, we understand your family's individual needs. Our practice is dedicated to maximizing all aspects of your health through the first class chiropractic care we provide. Specializing in pediatrics, pregnancy, and family wellness, with an emphasis on ADHD, sensory processing disorders, autism, and neuro-developmental disorders, we've got what you and your family needs to get well and stay well. Loved my experience at Premier Wellness! Thanks! I saw a lot of other patients coming and going and everyone seemed very happy to be there and happy to see the doctors. It felt very warm and inviting! Everyone in this office is exceptional. I highly recommend this office, and will share my experience with friends! Thank you, for getting me in as quickly as you did, and getting me back to painless in record time. We are very happy to be part of Premier Wellness. I was extremely impressed with how accommodating you were when I came in the first time. You saw me twice that day. Thank you. We are beyond excited to have found PWC and looking forward to the results we hope for! We are extremely pleased with all the doctors. Kristofer Chase has never been happier he loves coming in, and always leaves with a big smile on his face, We are very happy we found you! Tony and his staff were amazing and helped us understand what they do and how they can help us. I tend to be very skeptical when it comes to treatment for health issues. I am grateful and very optimistic about my future dealings with Premier Wellness and I want to do what I can to help promote their services especially with my fellow military associates. I have always been a little skeptical of the chiropractic world because I knew nothing of what it really entailed. After meeting with Dr. Tony and the rest of the staff I truly have gained a confidence I never thought I would have. I feel very comfortable with the care that my kids and I have received, and in a very short amount of time I have a high level of confidence in the care, knowledge and good intentions of the staff. I will definitely be sending referrals your way. Everyone is so genuine and welcoming! I feel very valued as a patient with how much the doctors care to improve my health. Very happy with the practice! A wonderful atmosphere and very welcoming and friendly. Friendliest and most helpful staff I’ve ever encountered. Dr. Tony is very excited about what he does and gets you excited that he can really help. Love the team there! Awesome environment! The staff and providers were so super friendly! I was even greeted by name the 2nd time I came as if I have been a patient for years. The staff and doctor’s gave me a very detailed, but easy to understand explanation of what the possibilities of my problems were. Definitely can’t wait for my next appointment and the next step to getting better. Office staff has been very welcoming and understanding! I was impressed with the communication throughout the office starting with the first call with Jen…I didn’t have to repeat myself and Dr. Ron knew my situation from the get go. Thanks! The entire staff was super courteous & warm. I felt great after the initial consultation & I’m excited to come back for my second visit. Thank you for scheduling my appointment with such short notice! So excited to have found your practice and a fresh approach on health and the needs of my child.